Flipbooks, that crazy party fad that is now sweeping the country can now be found at One Fun Photobooth. The One Fun Photobooth Flipbook is a 30 page 2″X 3″ book made from 6-7 seconds of video that when flipped with your thumb creates an instant entertaining movie from the motion of the pages. In under five minutes your video is converted into a take-home Flip Book. The first flip book appeared in September, 1868, when John Barnes Linnet created one of the first versions of moving pictures or kineograph. A lot has changed since then and with the use of cutting edge technology this old novelty is back. One Fun Photobooth is offering flip book services to the Sun Valley, Twin Falls and Idaho areas. The One Fun Photobooth Flipbook system allows guests to create instant flip book movies from videos taken live, on the spot. Now Stars can have all those moves, dances and funny faces packaged up in a neat little book. 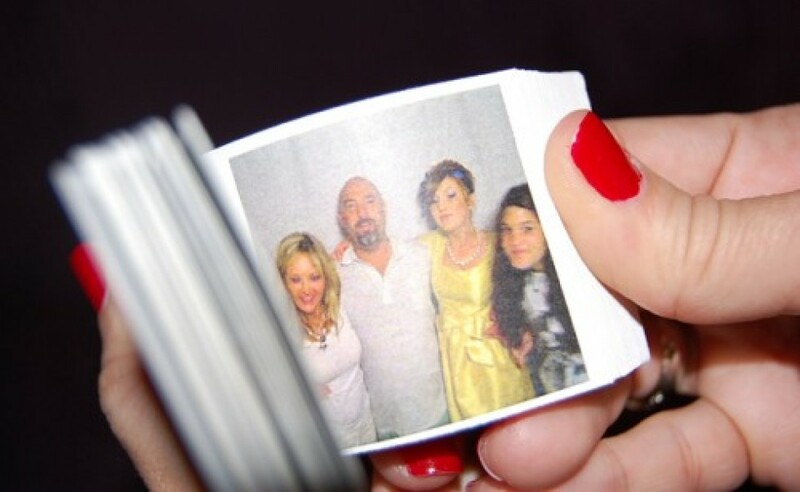 The Flipbook system is a completely new system that is separate from the photobooth.